The Associate of Science in Nursing (ASN) and Bachelor of Science in Nursing (BSN) programs are accredited by the Accreditation Commission for Education in Nursing, Inc.(ACEN). The Accreditation Council for Business Schools and Programs (ACBSP) www.acbsp.org Baccalaureate/Graduate Degree Board of Commissioners has awarded University of the Virgin Islands, located in St. Thomas, Virgin Islands, http://www.uvi.edu/, initial accreditation of its business programs. Established in 1988, ACBSP is the only organization offering specialized business accreditation for all degree levels, from associate to baccalaureate to doctoral degree programs. ACBSP accreditation certifies that the teaching and learning processes within the business programs offered at University of the Virgin Islands meet the rigorous educational standards established by ACBSP. The University of the Virgin Islands School of Education has been awarded accreditation status from the National Council for Accreditation of Teacher Education (NCATE). Accreditation was granted for the undergraduate and graduate programs, according to a prepared statement from the Council for the Accreditation of Educator Preparation on Nov. 7. The undergraduate program accreditation runs until 2020, and accreditation of the graduate program runs until 2016. The U.S. Department of Education and the Council for Higher Education Accreditation recognize NCATE as a professional accrediting body for teacher preparation. 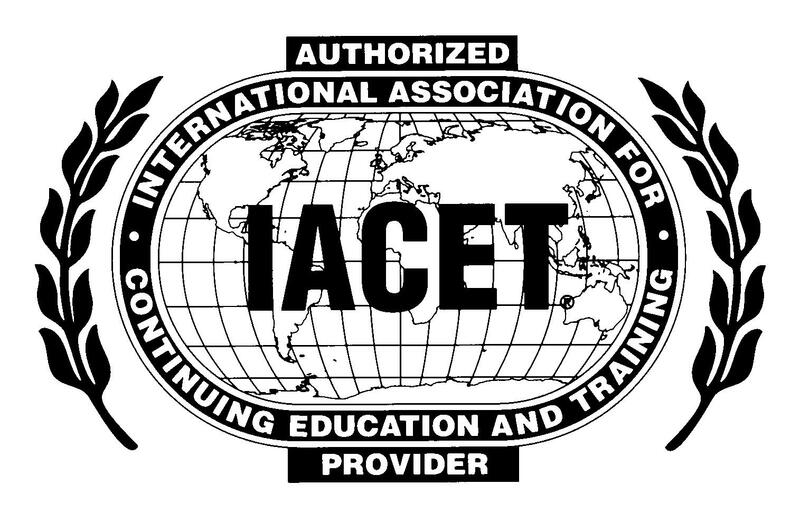 UVICELL is an authorized provider of the International Association for Continuing Education and Training (IACET). As an authorized provider, UVICELL can grant IACET Continuing Education Units (CEUs), an internationally recognized measure of quality in continuing education and training programs. UVICELL has partnered with the AMA, the most recognized name in management training, to provide you with skills that translate into productivity and career growth. Earn widely recognized credentials and Continuing Education Units (CEUs). The University of the Virgin Islands Research and Technology Park’s (RTPark) 64 West Center building was awarded Leadership in Energy and Environmental Design (LEED)® Silver Certification in August. LEED, which was developed by the U.S. Green Building Council (USGBC), is the nation’s preeminent program for the design, construction and operation of high performance green buildings. The 64 West Center building is located on UVI’s Albert A. Sheen Campus on St. Croix. The Center achieved LEED certification by incorporating sustainable strategies throughout the project’s design, construction and operational phases – including energy, lighting, water and material uses – which in turn reduces greenhouse gas emissions, contributes to a healthier environment for visitors and tenants, and lowers costs. The University of the Virgin Islands received Community Engagement Classification status from the Carnegie Foundation for the Advancement of Teaching. The Carnegie Foundation grants this designation to colleges and universities who have an institutional focus on community engagement. Institutions participate voluntarily by submitting required materials describing the nature and extent of their engagement with the community. UVI is one of 361 institutions nationwide who have received this designation since the inception of the program. The University of the Virgin Islands’ Center for Student Success Writing Center has been awarded certification by the College Reading and Learning Association (CRLA). The CRLA provides national guidelines for the training and certification of tutors, tutoring services and student support. The Writing Center, located on UVI's Albert A. Sheen Campus on St. Croix, provides students with tutoring and mentoring in writing to enhance their success in academic classes. Students are tutored in most cases by student peers. The University is now designated as a NABCEP Entry Level Exam Provider. The North American Board of Certified Energy Practitioners (NABCEP) is the most respected and widely recognized certification organization for solar professionals in North America. NABCEP was founded with the mission to support and work with renewable energy and energy efficiency industries, professionals and stakeholders to develop and implement quality credentialing programs for practitioners.